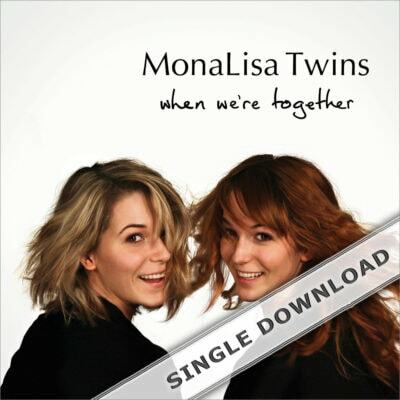 “When We’re Together” is the MonaLisa Twins’ debut album with original songs. It contains lots of Rock ‘n’ Roll and Beat music paired with elements of Psychedelic, Folk and even Latin genres. 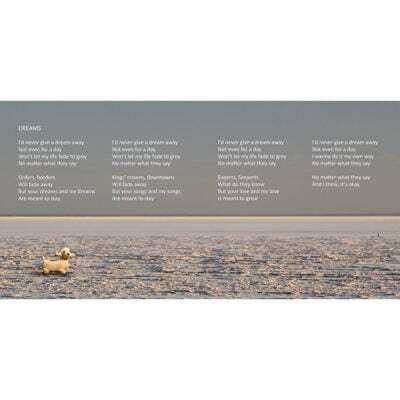 Check the tabs below for more info, audio samples and lyrics. Hi you two, i was sick as a dog today when i made it out of bed i checked the mail box. You two made my day. I have played your C.D. three times since 4:00 P.M Florida time. I love it, every song on the disc is Fantastic. 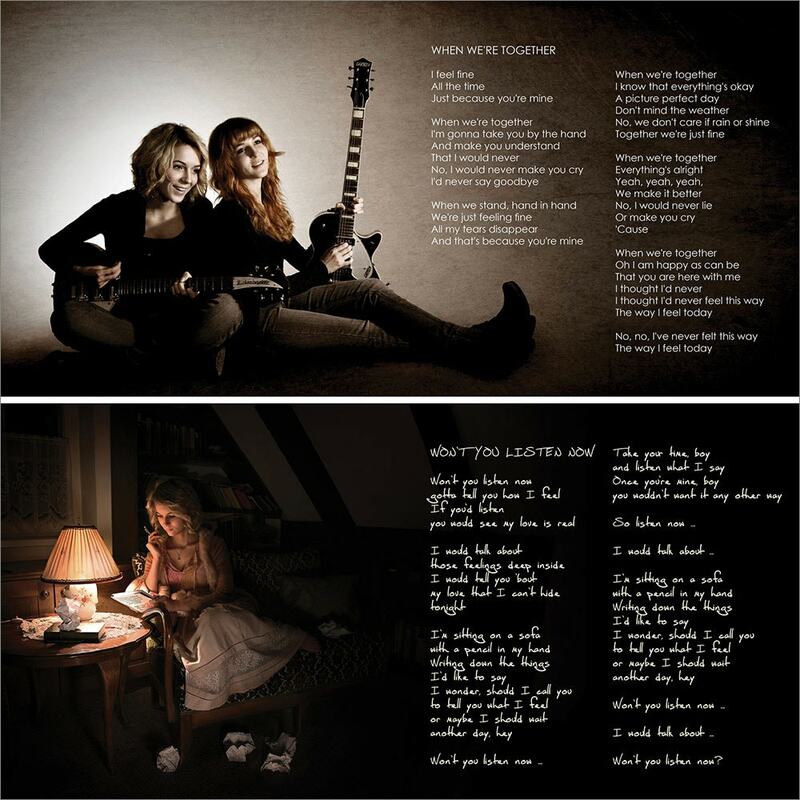 You two should be very proud as it is very good, I cant even figure out the song i love most. As of now The Wide Wide Land is just in my head,and i have been smiling for hours. Thank you all so much, you even put my name on it. Very nice, Very nice. I hope you both are still smiling from ear to ear. You two and your step mom ,and your dad are bringing smiles all over the world. 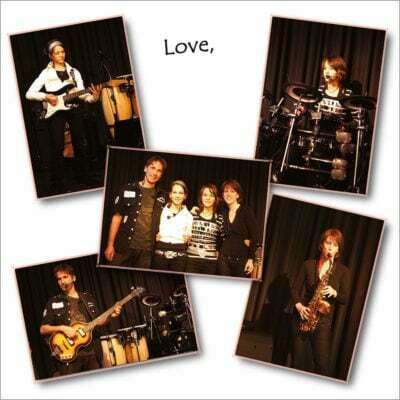 Thank you again, and huge love from the states.xooxoxxo!!!!!!!!!! James. Top Notch effort for their first original album, and can’t wait for future stuff …. Kudos to this album, one can help but sing and dance and toe tap to it. Uplifting, emotional. 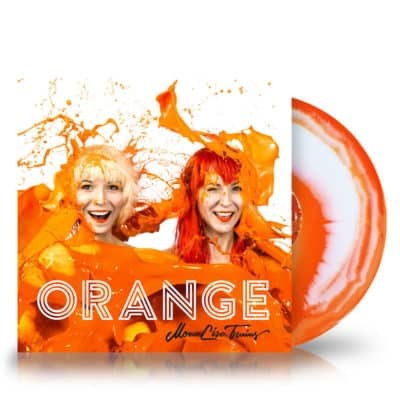 It’s a keeper and a must have in your music collection . Timeless, first class all the way ! I commend both Mona & Lisa on a first class top notch effort on their first original album, can’t wait for future stuff…. 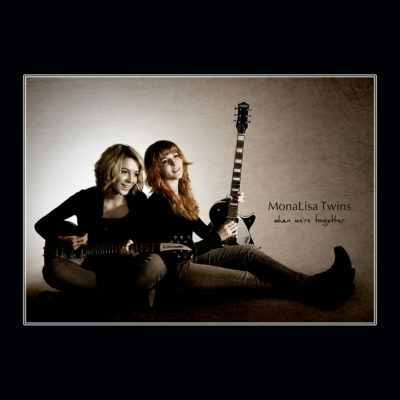 I read so many posts that people found MonaLisa Twins while looking for a song done by somebody else. Usually the original artist. I found them when I went to youtube to listen to the Beach Boys California Dreaming. I just found out not too long before that that the Beach Boys had a video with it. I wanted to listen to it one day and when I brought it up I started looking at all the people that did covers on it. I started listening to them instead. After listening to a bunch of them I wasn’t impressed and was getting bored. 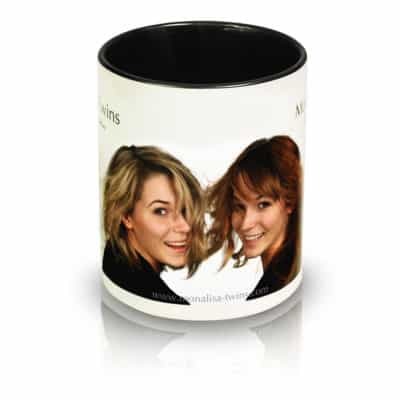 I was ready to quit but the next one had these two girls on the cover and they called themselves MonaLisa Twins. I thought I would give them a try before going back to the Beach Boys. Well, I never made it back to the Beach Boys. 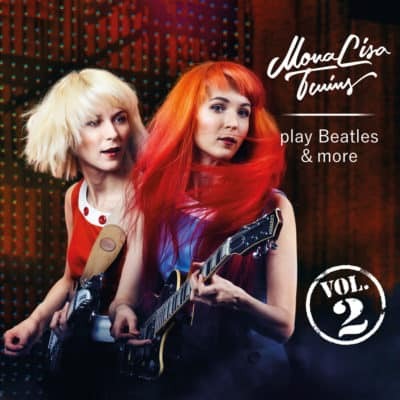 I started playing MonaLisa Twins video that started out with some quitar and walking through leaves then the singing started while they were walking on a sidewalk. When the singing started All the leaves are brown all the leaves are brown and that’s all it took. I liked you two girls instantly. I found all these videos you had and started listening to all of them. You didn’t know that. The first they heard of me was about 4 months later when I asked them to be friends on MYspace. Since then they did many more cover songs. Their cover songs I find to be as good or better than the orininals. When they said they were going to release a cd with all their own songs I was excited. I received it last Wednesday and have listened to everything over and over. Some more than others. I like every song. Everybody knows you like the Beatles and you can hear that influence in many of the songs. “Dreams” is a nice soft song and it has great bass in it. 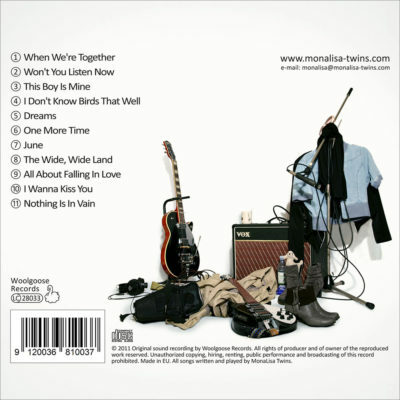 “One More Time” is one of the songs with Beatle influence. It also rocks. The little yell that one of you do, I bet it is Lisa, is cool. Then there is “June”. Love that beat “June” takes me back to the fifties watching American Bandstand when it was in Phildelphia. I like “Nothing is in Vain” also. The music is nice in it. If I had to pick a song as a favorite it would be hard to do so. 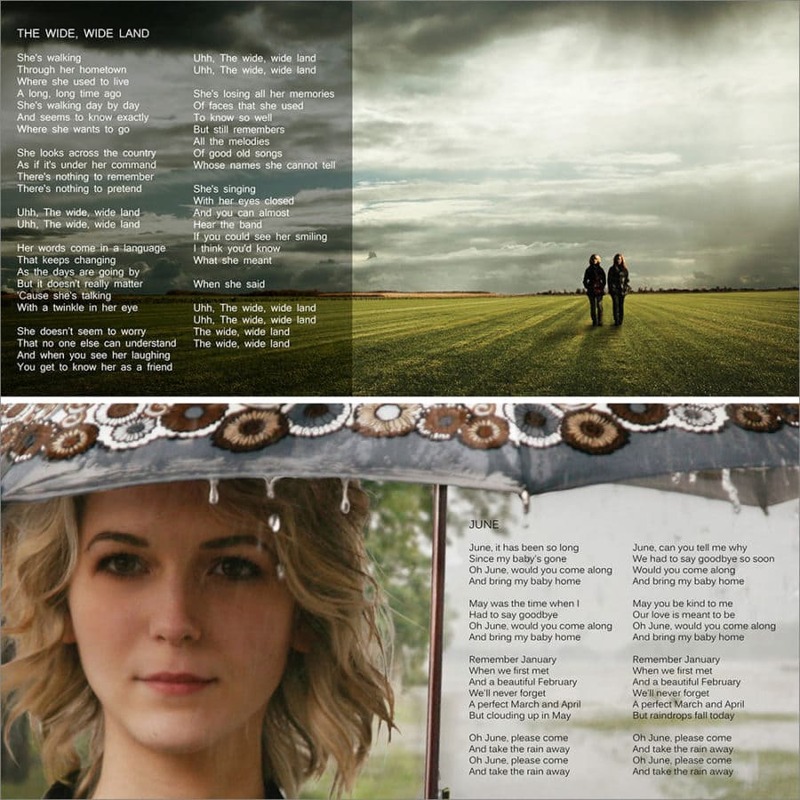 But, it would be “The Wide Wide Land” It has a great riff in it and about two/thirds of the way through when you kick the song in you don’t loose the riff at all. I think this could be a hit single. The acoustics you do are amazing. You are so good. It’s like everything has to be so precise. Your lyrics are good too. I’m amazed at how well you can rhyme words. I noticed you sang alot about boys and love. Nothing wrong with that. Gratuliere, das Werk ist Euch gelungen, Sehr schwungvoll, inspiriert, und stimmungsvoll. 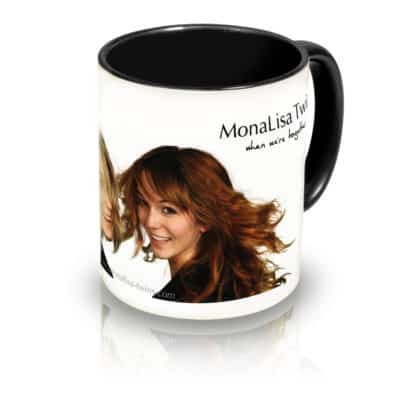 Habe mir sofort ein Exemplar bestellt. Wann ist die Live Tour? 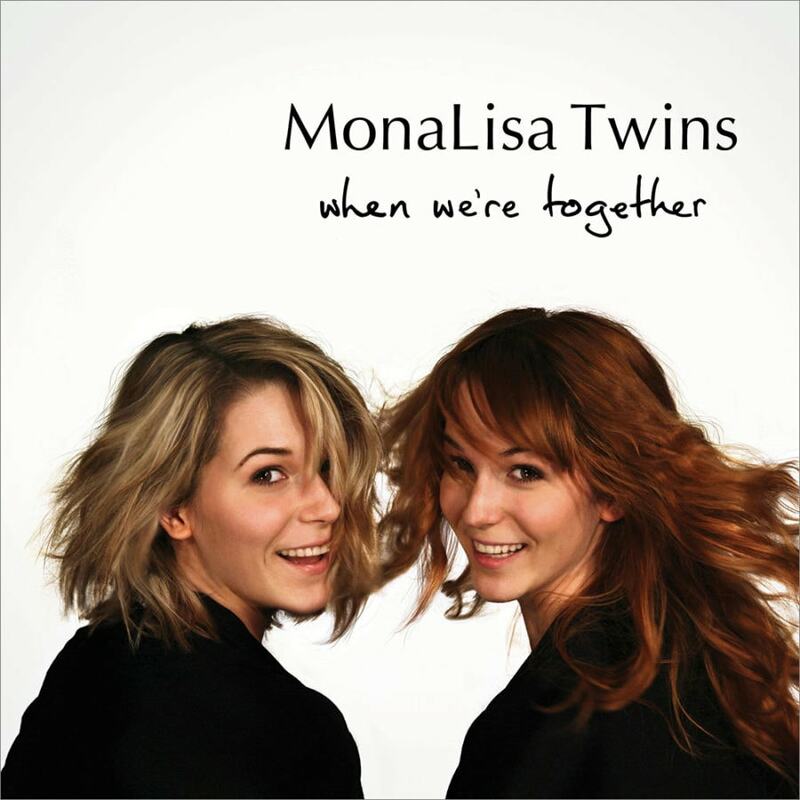 "When We're Together" is the MonaLisa Twins' debut album with original songs. It was the first time they really got into songwriting. 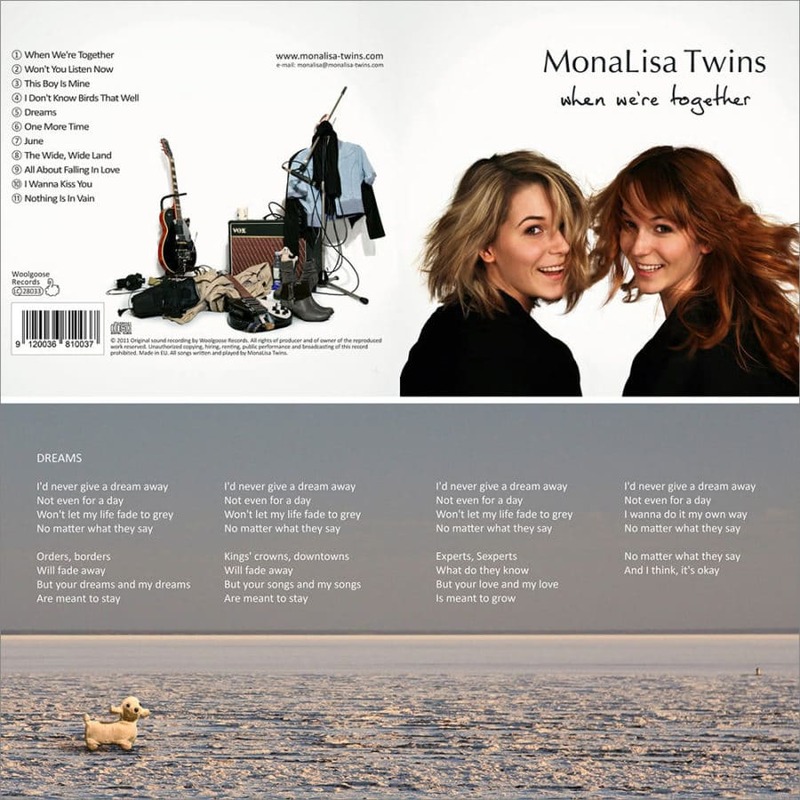 The MonaLisa Twins wanted to make every song on the album sound a little different, while trying to stick to their favourite musical elements like melodic harmonies, driving back beats and crunchy, bright guitar sounds. 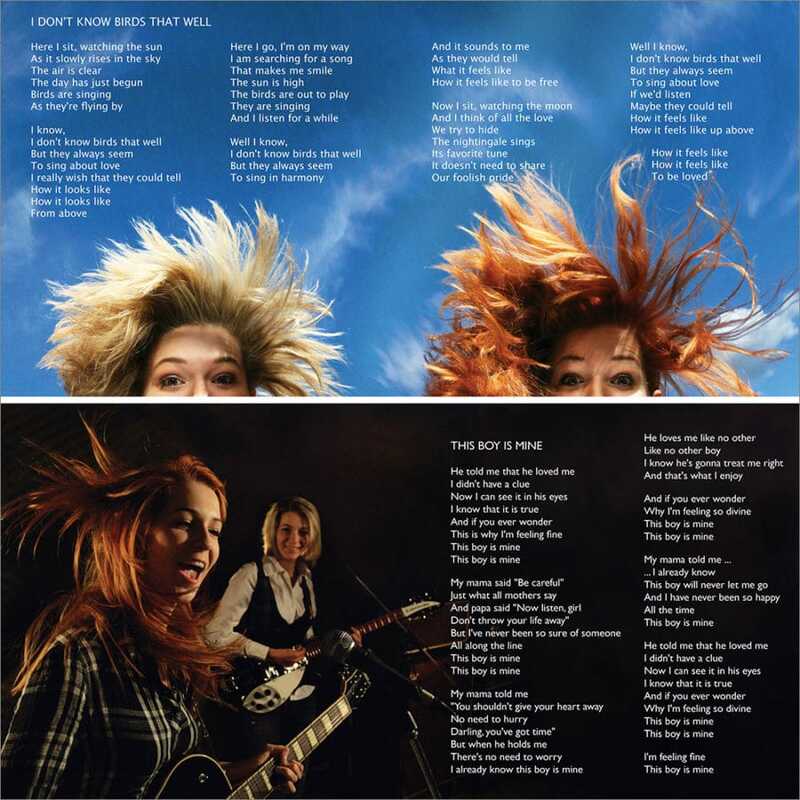 They used them in simple and catchy feel-good songs as well as in tracks that are strongly based on good old Rock 'n' Roll and Beat music. 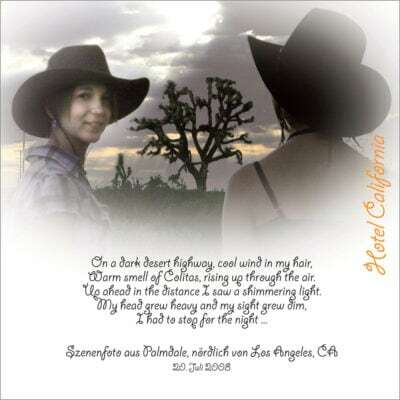 The album also features some Latin sounds and Ballads to make the album exciting to listen to.